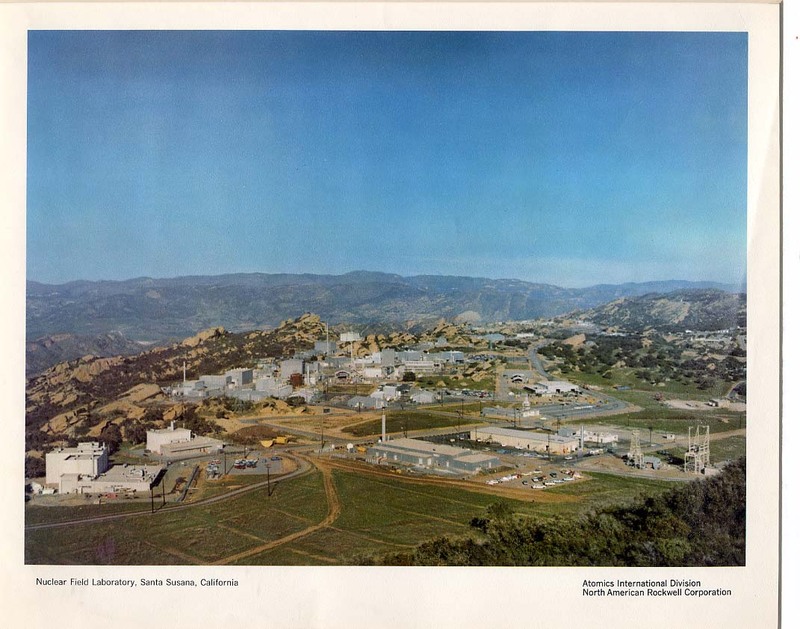 Human error helped worsen a nuclear meltdown just outside Los Angeles, and now human inertia has stymied the radioactive cleanup for half a century. 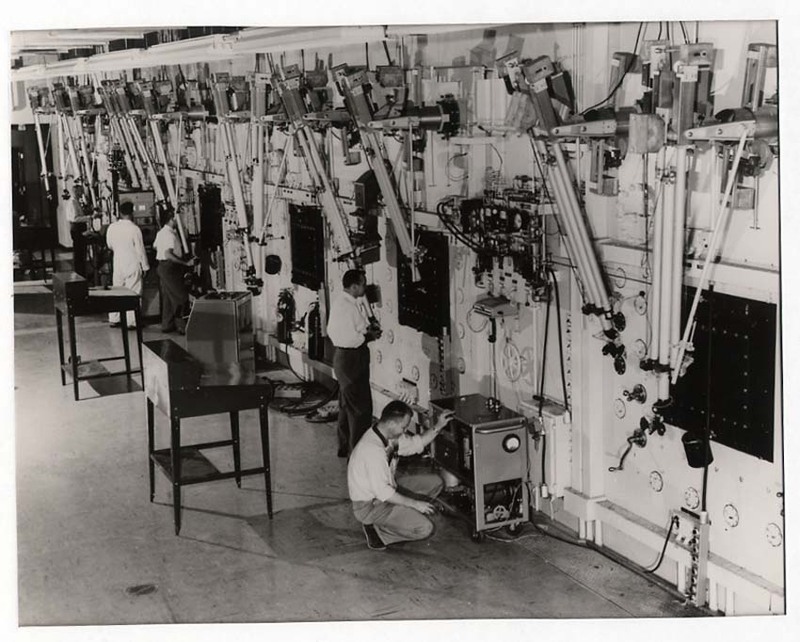 “During an inspection of fuel elements on July 26 at the Sodium Reactor Experiment, operated for the Atomic Energy Commission at Santa Susana, California by Atomics International, a division of North American Aviation, Inc., a parted fuel element was observed. This press release — issued five weeks after the end of the United States’ worst nuclear reactor meltdown — was the public’s first notification that something unusual had happened up on “The Hill.” For the next 20 years, it remained the only public notification about the accident at the Santa Susana Field Laboratory on a mountaintop in California’s eastern Ventura County, on the border with the San Fernando Valley. In fact, from July 12 through July 26, 1959, an unknown amount of radioactive gases were intentionally vented to prevent the Sodium Reactor Experiment from overheating and exploding. Unlike most conventional reactors that circulate water to be heated by the fuel rods in the core in order to turn steam turbines, the SRE used sodium because it could operate under lower pressure. Pure sodium — not to be confused with table salt, or sodium chloride — was a risky metal to use since it catches fire when exposed to air and explodes when mixed with water. Due to the experimental nature of the SRE, it was built without a containment structure — the distinctive large dome associated with nuclear power plants — so any radiation vented hot out over the San Fernando Valley, which the city of Los Angeles was busily annexing. What exactly vented remains in contention. According to an analysis of a five-year study by a panel of independent scientists convened years after the incident, the SRE accident spit out up to 459 times the amount of radiation released during the 1979 meltdown at Three Mile Island. Fifty years later, the contaminated site has yet to be cleaned up, although this month two federal agencies promised to plow ahead without the site’s current owner, Boeing. And in March, the Department of Energy provided $38.3 million in funds to complete the radiologic survey of “Area IV” as part of the American Recovery and Reinvestment Act. Unlike the then-remote hilltop it once was, now more than a half million people live within 10 miles of The Hill, and downtown Los Angeles is 30 miles away. 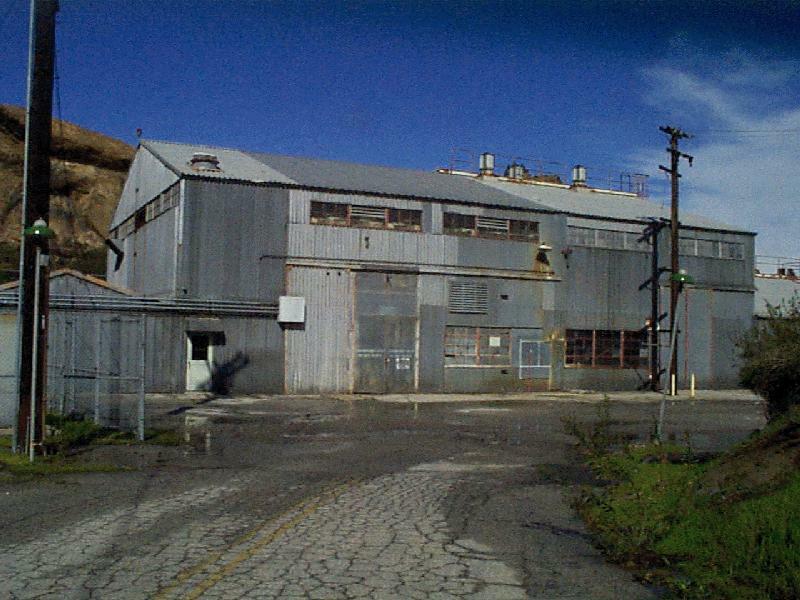 The Santa Susana Field Laboratory was built on 2,850 acres in the mid-1940s. A portion of the facility was dedicated to nuclear research, while other portions were marked to develop powerful rocket engines such as the Delta II. The federal Atomic Energy Commission and the private Atomics International chose the land high in the hills above the farthest end of the west San Fernando Valley precisely because the work could be dangerous and the population sparse. The site was owned by Atomics International, a division of North American Aviation. It was merged into Rocketdyne, which Boeing acquired when it bought Rockwell International in 1996. Four years ago, United Technologies bought the Rocketdyne unit from Boeing, but Boeing kept the contaminated site. Santa Susana hosted other sensitive projects, which in turn left their own more-public toxic legacies. Three other main areas of the lab were devoted to rocket testing, which polluted the land and groundwater with the toxic rocket fuel oxidizer perchlorate and the engine solvent trichloroethylene. Perchlorate has been found in water wells circling the site, including in adjacent Simi Valley. There are varying estimates of the amount of TCE in Rocketdyne’s groundwater from tens of thousands of rocket tests at the lab. Boeing’s groundwater remediation system, which consists of “air-stripping” towers that allow the TCE to evaporate into the open air, removed 10 gallons of the toxic goo from the water annually. “Since acquiring our site in 1996, Boeing has made significant progress in our cleanup efforts,” Boeing spokesperson Kamara Sams said recently, although the company turned off the water-purifying system in 2001. And there were other dangerous practices on the site. “They had a sodium burn pit where they took radioactively contaminated components and illegally burned them in open pits in the open air,” Hirsch said. Additionally, workers routinely disposed of barrels of highly toxic waste by blowing them up with shotguns and releasing the contents into the air. That practice was halted in 1994 when two workers were killed and one severely injured when the procedure went terribly wrong. One worker was blasted so forcefully into a rock that all that remained was a gruesome petroglyph. John Pace had only been at the SSFL for four months 50 years ago this summer when the accident occurred. 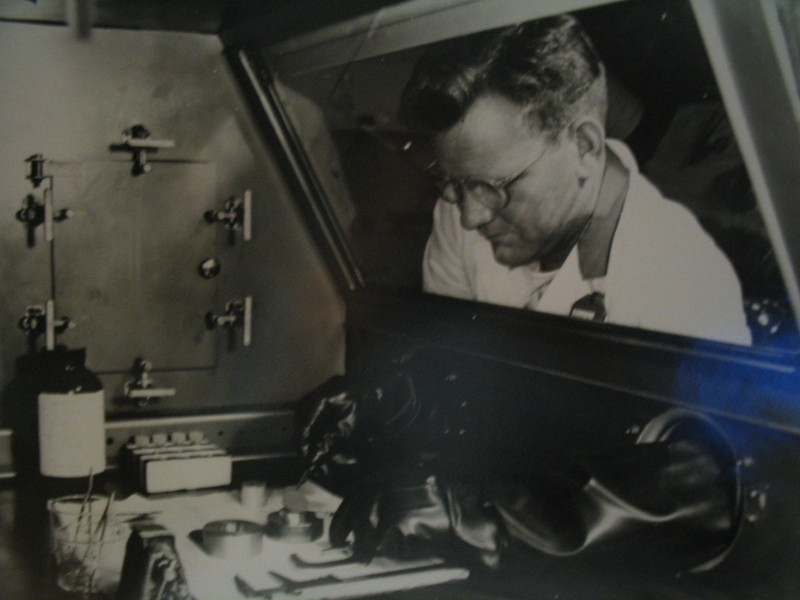 He was hired as a 20-year-old trainee to learn how to become an atomic reactor operator and mechanic in March 1959 (he was let go the following November). Due to his inexperience, Pace said he often was just an observer of many procedures at that time. He is now the last surviving worker to have witnessed the 1959 meltdown and its immediate aftermath — an often chaotic attempt to prevent an even larger disaster as workers compromised their own safety to keep the SRE from overheating into a runaway meltdown. They were only partially successful. Unknown to the workers, the coolant Tetralin had leaked into the sodium and gummed up the SRE, causing the fuel rods to overheat. When the reactor was finally shut down permanently after two weeks of starting and stopping the power and then venting the building radiation, one third of the fuel rods ruptured and had begun melting. Pace said he arrived at work on July 13 for the shift immediately after the accident; he was told that the operators had noticed that something was not quite right. “They had little indications before that there was something a little edgy about the reactor, but they weren’t quite sure,” he said. 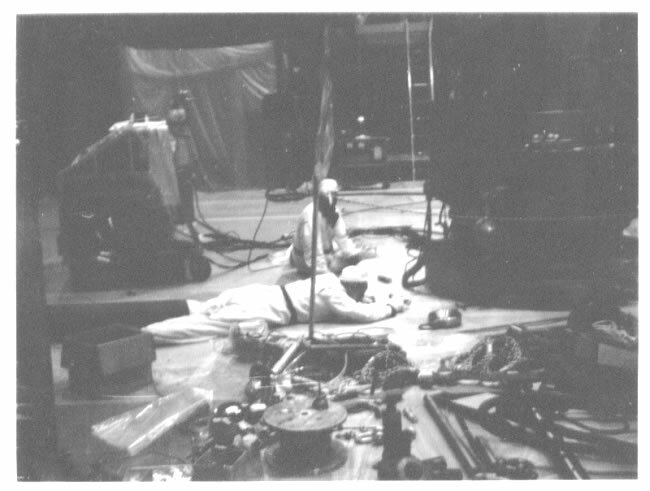 A 2006 report by David A. Lochbaum, the nuclear safety engineer with the Union of Concerned Scientists, determined that up to 30 percent of the reactor’s radioiodine and cesium could have vaporized during the accident. All this was done without protective clothing beyond coveralls and cotton caps that read, “Your Safety is Our Business — Atomics International.” There were no fully-enclosed radiation suits with face masks that nuclear workers routinely use today, designed to be dissolved and disposed of after one use. Looking back with the benefit of 50 years experience, Pace realized that many mistakes were made. Experts, also with the benefit of hindsight, agreed. In 1979 the Los Angeles Times reported that an Atomic Energy Commission-sponsored analysis determined there had been numerous indications that the SRE was malfunctioning. The report was critical that the operators continued to run the reactor for two weeks — and despite a power spike that didn’t abate even after operators pushed control rods into the reactor to slow the nuclear reaction. None of what John Pace described was ever revealed publicly. Atomics International prepared an unclassified report — it was titled “SRE Fuel Element Damage” — on the accident and delivered it to the Atomic Energy Commission in 1961. Two decades later, the 1979 accident and radiation release at Pennsylvania’s Three Mile Island nuclear power plant focused public attention on the dangers accompanying nuclear power. In that environment, a UCLA student named Michael Rose, now a successful documentarian, was researching his first film when an old flyer in the Westwood office of Committee to Bridge the Gap caught his attention. Rose worked with Hirsch and informed, or re-informed, the media. Hirsch and Rose took their discovery to Warren Olney, then of KNBC NewsCenter 4 in Los Angeles (he now hosts the National Public Radio news program To the Point). Olney produced a weeklong television series on the meltdown. “There was a flurry of activity for a couple of years,” Hirsch said. “A group called Alliance for Survival then intervened in the re-licensing of the Atomics International facility, getting a reduction in licensed amounts of nuclear material but no shutdown.” Despite the activity, progress toward a cleanup was slow. 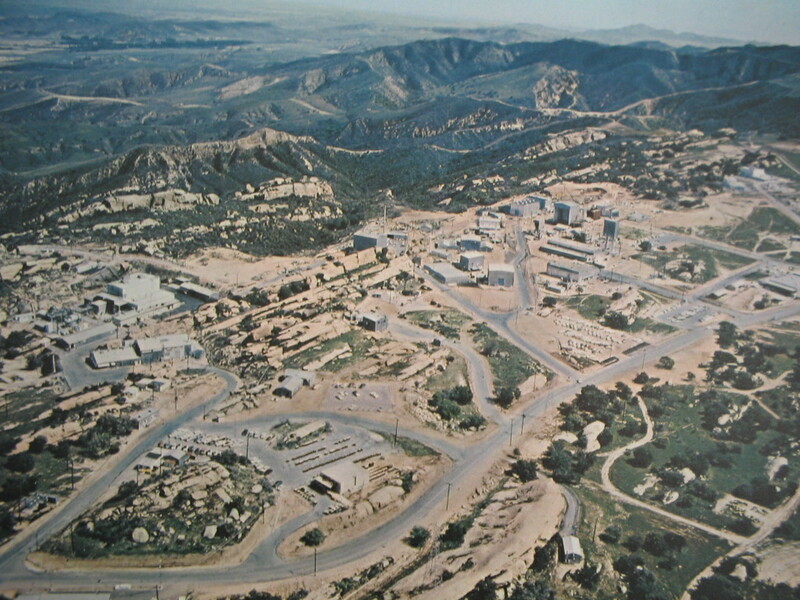 “Then things went quiescent,” he continued, “until the Department of Energy study in 1989 finding widespread contamination at the site was made public in the Los Angeles Daily News, triggering a new round of interventions in licensing proceedings, which did succeed in shutting [the reactor] down.” Hirsch said the study also sparked several other epidemiological studies. Urban sprawl added pressure. Over time, Southern California’s population grew dramatically, and what primarily had been walnut orchards and sprawling ranches encasing Santa Susana became suburban tracts filled with families. Once the widespread nature of contamination was known, the U.S. Environmental Protection Agency was brought in to aid in the cleanup. One focus of concern was the level of contamination in the actual power plant buildings. In the early 1990s, local legislators established the Santa Susana Field Laboratory Advisory Panel, a quasi-governmental organization composed of academics and activists who studied worker health issues resulting from the overall contamination issues at Santa Susana. The panel, co-chaired by Hirsch, enlisted the UCLA School of Public Health to conduct the study. Those conclusions were released in October 2006 and they were stunning. Based on the ratios of volative radionuclides found in the coolant, the panel estimated that the release of radiation in 1959 was hundreds of times the amount of radiation that was released at Three Mile Island — and that radiation was estimated to have caused between 300-1,800 cancer deaths. Feinstein and Sen. Barbara Boxer, both California Democrats, and Rep. Elton Gallegly, a House Republican, this year introduced legislation to compensate SSFL workers or their families for workplace illnesses not covered by earlier laws covering so-called “energy employees.” The legislation, which is still in committee in both houses, would allow those workers whose claims have been rejected to reapply for compensation. Despite all this, the site remains toxic, radioactive and dangerous, and will continue to be so until the cleanup is completed. And it’s still a workplace for scientists and technicians: Although the go-go years of the Cold War are gone, when three shifts of 6,000 people each were working on the site, fewer than 200 remain today doing laser research and other defense industry work. After lawsuits, several studies and attempts to force Boeing to clean the site, California state Sen. Sheila Kuehl introduced legislation that mandated that the site be cleaned to the highest standard before any other use of the land would be permitted. In addition to the radiation contamination, the bill includes the perchlorate and other dangerous chemicals that were spewed out during the rocket engine testing and other pursuits. Boeing opposed the bill, but Gov. Arnold Schwarzenegger signed it into law in early 2008 and a final date for completion of the cleanup was slated for 2017. The standards mandated by Kuehl’s legislation dictate that there be no more than one chance in a million of getting cancer from any radionuclide in a rural agricultural setting, which has the most restrictive limits. In comparison, the damaged reactor at Three Mile Island, though defueled and decontaminated to a large degree, remains closed as the radiation continues to decay. Taylor said the federal government accepts the stringent standards, and on Aug. 19 both the DOE and NASA (which along with Boeing were deemed the “responsible parties” for funding the cleanup) agreed to proceed on the cleanup – without Boeing. “We’re pleased that the federal agencies (NASA and DOE) have committed to moving forward on a draft cleanup order that covers a significant portion of contamination (90% RAD and 50% other chemicals) in strict compliance with [the Kuehl legislation],” the acting director of the Department of Toxic Substances Control, Maziar Movassaghi, wrote on Aug. 19. Taylor, meanwhile, acknowledged that the DOE has created some of its own problems by moving forward without consulting the public. As the Obama administration is developing a strategy for the nation’s energy needs, including a nuclear component, there are many environmentalists who see the struggle to clean up the SSFL as an object lesson. The Nuclear Regulatory Agency has received applications from 14 companies to build new nuclear power plants. Financial problems in the form of cost overruns, delays and other problems had forced utilities to abandon earlier plans to build more nuclear power plants in the 1990s. The issue of terrorism has not yet been fully addressed. The federal government is anxious to solve the intractable problem of the disposal of nuclear waste. Today, most of the operating reactors simply have their spent fuel rods sitting temporarily but indefinitely in holding tanks. The U.S. still has no permanent facility for all of the country’s spent fuel rods and other nuclear waste. Whether the SSFL will finally be cleaned up within the negotiated schedule remains an open question. Fifty years have passed since that first press release told the world about a close brush with disaster just outside Los Angeles. Today, radiation remains on and off the premises, outliving a generation of workers. Joan Trossman Bien, a freelance reporter living in Southern California, has worked as a newswriter for nearly every TV station in Los Angeles and now contributes regularly to the Ventura County Reporter and Ventana Monthly. 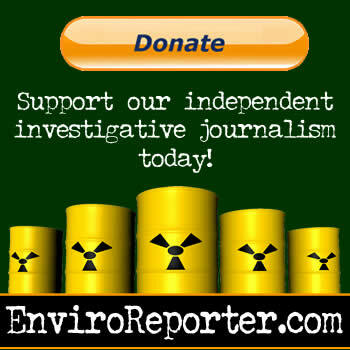 Michael Collins of EnviroReporter.com is an award-winning investigative journalist who has covered the Santa Susana Field Laboratory since 1998.